Celebrate Earth Day with this silhouette design of a paradise pine tree and roots. Sew it onto a tote or other apparel made from recycled materials. 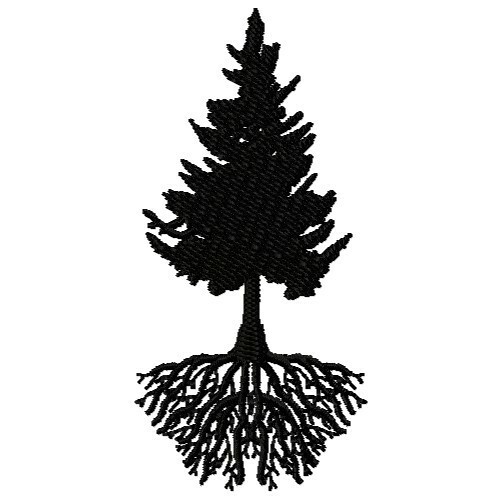 Embroidery Stitches is happy to present Paradise Pine machine embroidery design which has 5209 stitches and is [36.58 mm x 76.20 mm] large. If you would like to view more embroidery patterns please search on our embroidery designs page.